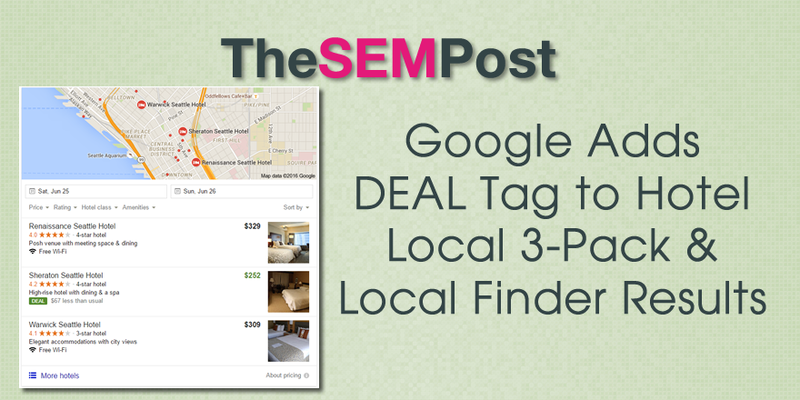 Google has added a new ad related tag to the Google Search results, this time a “DEAL” tag that shows next to hotel listings in both the local 3-pack and in the Local Finder map results page. The new tags are in green, and on the pages where these deals appear, the regular “Ads” tag has been changed to green instead of purple. Here is how it appears in the 3-pack. As you can see, there is the green “DEAL” tag along with a notation of the price difference (in this example, “$67 less than usual”) and the price highlighted in green. Here is how it appears on the Local Finder maps page. It shows the deal in both the small listing on the left as well as in the expanded listing on the right. It is also tagged as an ad on the right expanded view, although it doesn’t explicitly state it is an ad on the left side. 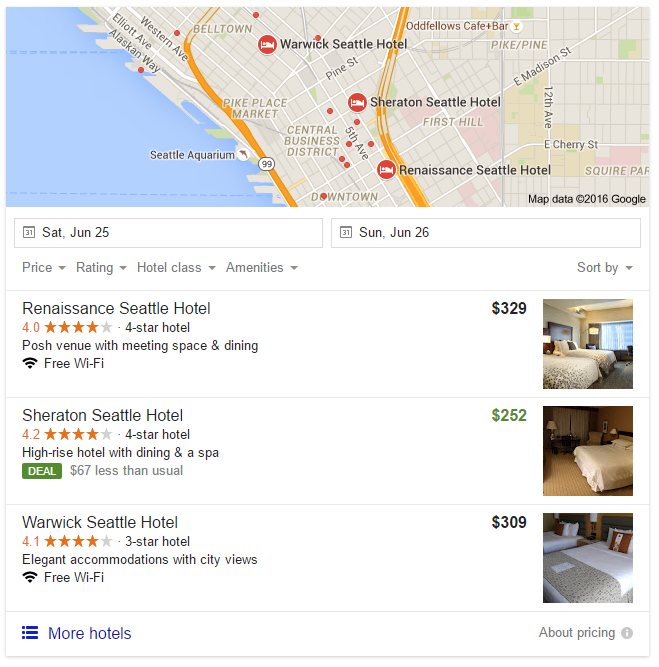 It also has the green text for the pricing, which is missing from the regular hotel AdWords ads at the top. 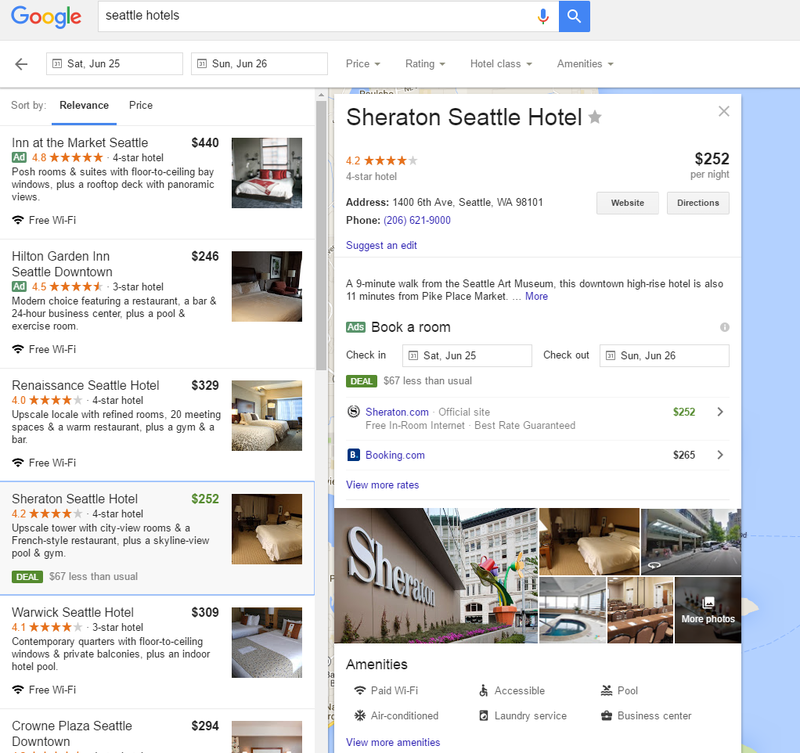 Google has also added a bit more about their hotel “Deal” notations. This appears to be active in multiple countries already.